CBD is a cannabinoid present in cannabis plants with a very similar molecular structure to THC but without any kind of psychoactive effect. Indeed, CBD does not cause any effect on the user, no paranoia, euphoria or intoxication, which are usually associated with THC and the recreational use of marijuana. Cannabidiol (CBD) has several therapeutical properties that we’ll present in this post. As mentioned, some of the most interesting aspects of this cannabinoid are its low toxicity and few side effects associated with its use: in the worst case, an over-dose of CBD would simply put you to bed. It has been demonstrated that CBD has low affinity with the CB1 and CB2 cannabinoid receptors, but it does act on other receptors of the human body like GPR55 or 5-HT1A. A study published in February 2015 in the Pharmacology & Pharmacy journal showed that a CBD-rich extract from cannabis plants is much more efficient than CBD used in its pure form, mainly due the presence of other cannabinoids, terpenes and other molecules that greatly increase the dosage/efficiency ratio of CBD. That’s why using products with all these other molecules is so important, so we can have better results than when using exclusively pure CBD. Normally, CBD products can be purchased as CBD oils, capsules or sprays. The exact CBD dosage still remains undefined by the science and greatly varies depending on the disease to treat; most treatments start with a dose of 1mg CBD per Kg of bodyweight, which is gradually increased if necessary. An important point to highlight is the study recently published on the Cannabis and Cannabinoid Research website (June 2016) which shows that orally taken CBD may turn into THC due to the action of the digestive juices in the stomach. That could explain why kids using CBD to treat epilepsy may experience some of the side effects of THC, like sleepiness. Thus, using CBD sublingually (under the tongue) is recommended so it does not reach the digestive system. Cannabidiol can also be used via CBD creams, ointments and other compounds. 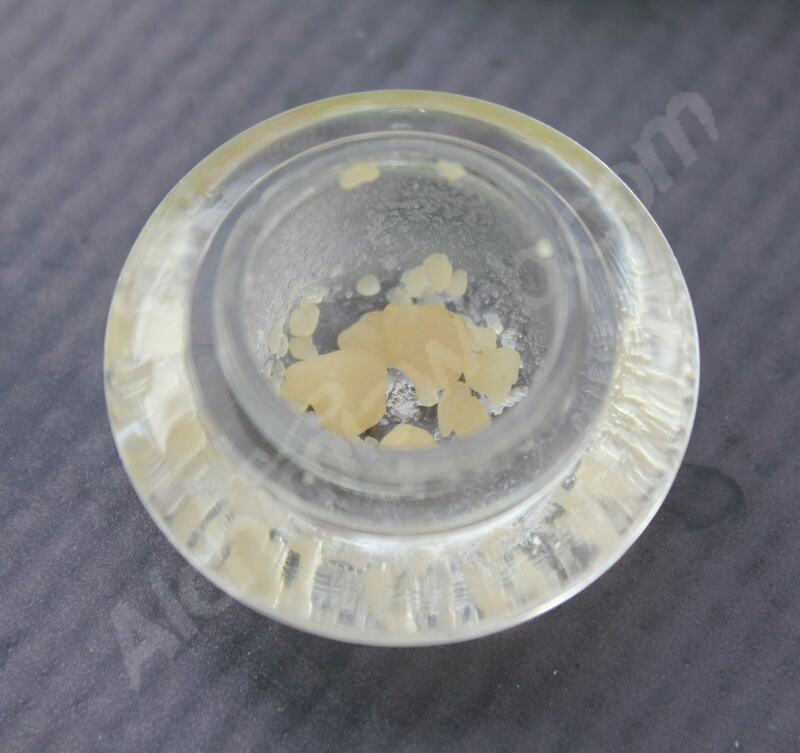 Topical application is particularly efficient to treat localized pains or skin problems like acne or psoriasis. We can find cannabis varieties with balanced THC/CBD content; these strains normally have a milder effect than THC varieties and allow the user to benefit from the therapeutical properties of CBD much more efficiently. CBD Crew has recently developed a strain – named CBD Therapy – with much more CBD than THC. Those who want to use CBD but at the same time want to enjoy the effects of THC will be delighted with the study published in December 2015 in the Neuropsychopharmacology journal in which it is shown that oral consumption of CBD does not reduce the effect of smoked or vaped THC, so you don’t have to choose between fun and health! What type of diseases can be treated with CBD? 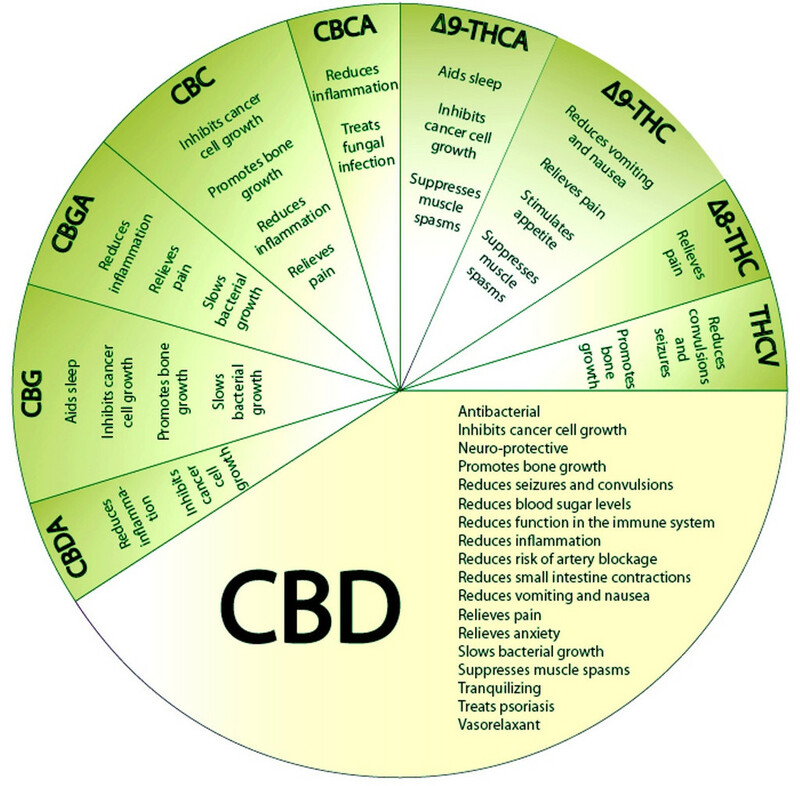 Cannabidiol (CBD) and its analogs: A review of their effects on inflammation, published in the Bioorganic & Medicinal Chemistry journal, February 2015. Cannabidiol as an emergent therapeutic strategy for lessening the impact of inflammation on oxidative stress, published in the Free Radical Biology and Medicine journal, September 2011. CBD could also be efficient to treat pains associated with arthritis, according to a study published in October 2015 in the European Journal of Pain. 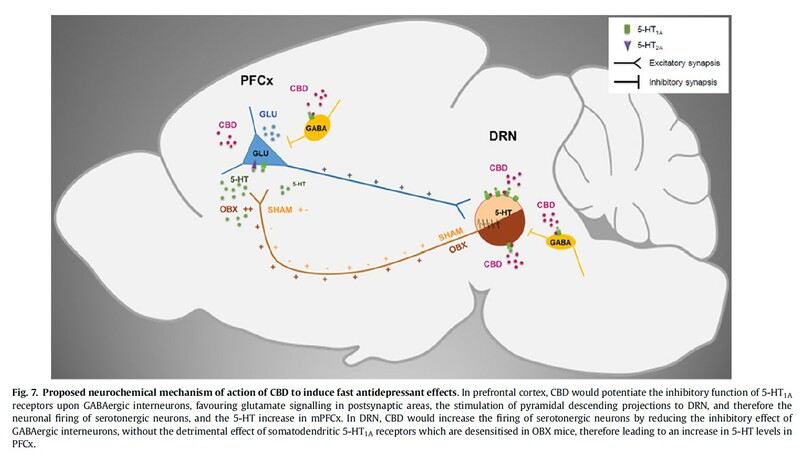 Cannabidiol induces rapid-acting antidepressant-like effects, published in the Neuropharmacology journal in October 2015. Cannabidiol as a Potential Treatment for Anxiety Disorders, published in the Journal of the American Society for Experimental NeuroTherapeutics in September 2015. Antidepressant-Like and Anxiolytic-Like Effects of Cannabidiol, published in the CNS & Neurological Disorders journal in 2014. Cannabidiol, a Cannabis sativa constituent, as an anxiolytic drug, published in the Revista Brasileira de Psiquiatria in June 2012. A study published in the Current Neuropharmacology journal in May 2016 showed that Cannabidiol is also effective to combat anxiety and panic attacks. CBD is suitable to treat patients with refractory epilepsy, especially children with Dravet, Lennox-Gastaut or West syndrome. We invite you to read our article on the use of cannabis to treat epilepsy for further information on this subject. Our article includes many studies from plenty of sources, such as Dr. Devinsky’s study published in March 2014 in the Epilepsy journal. Could cannabidiol be used as an alternative to antipsychotics? Published in the Journal of Psychiatric Research in March 2016. A systematic review of the antipsychotic properties of cannabidiol in humans, published in the Schizophrenia Research journal in February 2015. Cannabidiol as a potential treatment for psychosis, published in the European Neuropsychopharmacology journal in November 2013. A Critical Review of the Antipsychotic Effects of Cannabidiol: 30 Years of a Translational Investigation, published in the Current Pharmaceutical Design journal in June 2012. Another property of Cannabidiol is being an effective antiemetic, as shown in this study published in August 2011 in the British Journal of Pharmacology. CBD is particularly efficient when used to combat nausea caused by chemotherapy according to this study published in December 2010 in the British Journal of Pharmacology. The efficacy of CBD to treat chronic inflammatory bowel diseases is also being studied, like its application to combat Crohn or ulcerative colitis diseases. 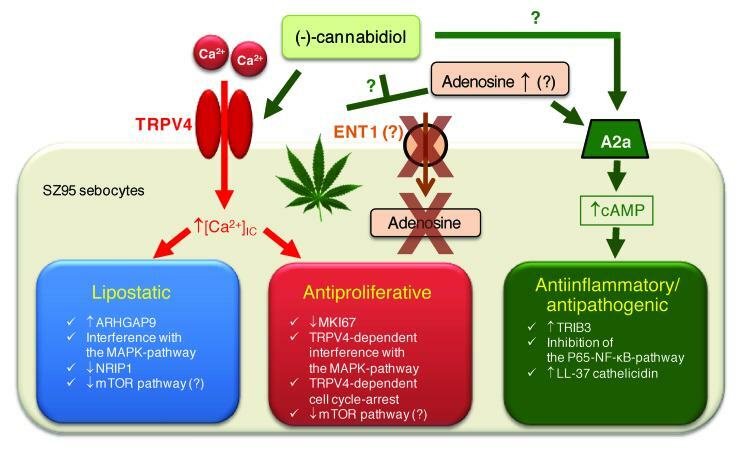 Cannabidiol in Inflammatory Bowel Diseases: A Brief Overview, published in the Phytotherapy Research journal in May 2013. Cannabidiol Reduces Intestinal Inflammation through the Control of Neuroimmune Axis, published in the Plos ONE journal in December 2011. CBD is one of the active ingredients of Sativex, a medicine prescribed to multiple sclerosis patients. Furthermore, and according to a study published in January 2016 in the DARU Journal of Pharmaceutical Sciences, the use of CBD creams and ointments is also useful to treat this disease. Cannabidiol exerts sebostatic and antiinflammatory effects on human sebocytes, which means that it is also efficient to treat acne and other skin problems. This study was published in the Journal of Clinical Investigation in July 2014. Moreover, another study published in the Experimental Dermatology journal in April 2016 shows that CBD, CBDV, CBC and THCV are efficient cannabinoids to treat acne, a disease that affects mostly teenagers, but also adults. Cannabidiol protects neurons from degeneration, which is especially useful when treating neurological diseases. This subject was already discussed in our article about cannabis and Alzheimer, in which you can view different studies such as the publication in February 2011 in the Molecular Pharmacology journal. Cannabidiol, neuroprotection and neuropsychiatric disorders, published in the Pharmacological Research journal in February 2016. 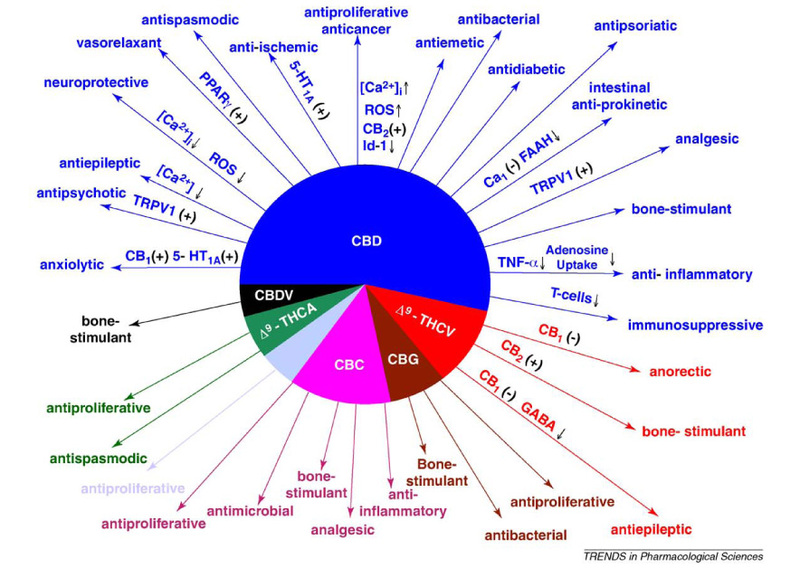 Cannabidiol in Medicine: A Review of its Therapeutic Potential in CNS Disorders, published in the Phytotherapy Research journal in October 2008. A study published in May 2015 in the Substance Abuse: Research and Treatment journal showed that Cannabidiol can be used to treat addictive behaviors. Another sudy published in April 2013 in the Addictive Behaviors journal claims that CBD would be particularly efficient to help people to stop smoking tobacco. It can also be used to reduce resistance to opiates, as demonstrated in this study published in the Neurotherapeutics journal in October 2015. According to this study published in March 2015 in the Journal of Bone and mineral research, Cannabidiol CBD accelerates the recovery from bone fractures by stimulating the osteoblasts activity. CBD is one of the most efficient cannabinoids to treat some types of cancer, and its anti-tumor action is being currently studied. According to a study published in the British Journal of Pharmacology in May 2012, CBD acts as angiogenesis inhibitor by blocking the growth of different tumors in vitro and in vivo. In our article about cannabis and cancer you can check several studies about the action of CBD and other cannabinoids on different types of tumors. We must mention that the CBD dosages used in these studies are far higher than those found in hemp extracts on the market today. CBD prevents fatty liver syndrome caused by alcohol consumption, as shown in a study published in the Free Radical Biology & Medicine journal in March 2014. This protective action is not limited to alcohol but also protects the liver from cocaine consumption, according to a study published in the Mediators of Inflammation journal in April 2015. If we take a look at this study on mice published in the Autoimmunity journal in April 2016, we realize that Cannabidiol could reduce the impact of diabetes. Moreover, CBD could also be useful to treat different conditions related to this disease, like cardiomyopathy or diabetic retinopathy. This list of diseases that can be treated with CBD will be updated as scientific research advances. For example, we know that Cannabidiol is being currently studied to combat obesity or to treat asthma and degenerative disc disease. Also, its possible benefitial effects on the cardiovascular system are under discussion. Current Status and Prospects for Cannabidiol : Preparations as New Therapeutic Agent, June 2016. 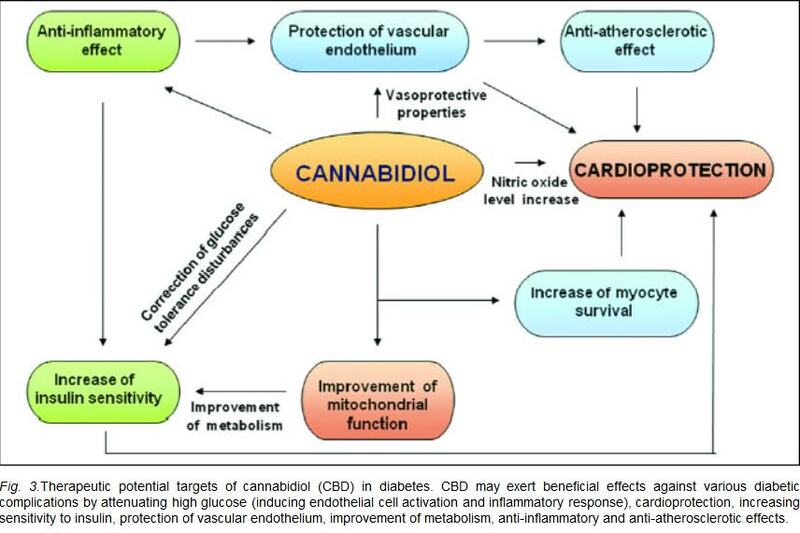 Cannabidiol in humans – The quest for therapeutic targets, December 2012. CBD: How it works, Autumn 2011. Non-psychotropic plant cannabinoids: new therapeutic opportunities from an ancient herb, 2009. Cannabidiol: An overview of some pharmacological aspects, 2002. Would CBD reduce my blood sugar levels, thereby enable me to reduce the medication I currently take, some 201 prescrbed tablets per week plus insulin. CBD seems to reduce sugar levels in blood, so it definitely could help in your case. Still, we always recommend to discuss new treatments with your trusted doctor. 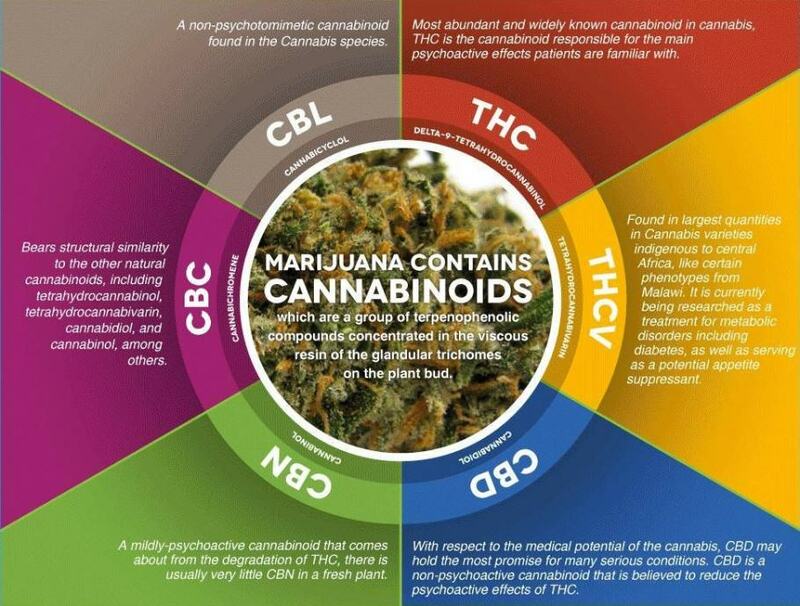 You can find CBD oils, capsules and other products, or you can grow CBD strains which are rich in this cannabinoid. Thanks for your confidence, all the best! Excellent article by le Marcel and endorsed by Shantibaba from CBD crew. We’re glad you liked the article. I have just been diagnosed with grade 4 prostate cancer. I am a bit confused on wether to try high thc/ low cbd oil or vica versa. Maybe you can shed some light on this. Thank you for your excellent blog. Personally, I’d be tempted to start with a balanced ratio of cannabinoids, something like a 1:1 ratio of THC to CBD as i believe in the effectiveness of the “entourage effect” whereby the cannabinoids and terpenes work together in synthesis to potentiate their effects. If the psychoactive effects of THC are something you’d like to avoid, then go for an oil with a higher CBD ratio, but I think that some THC content, however small, will be more effective than using CBD in isolation. I hope that’s some help, thanks for your question, all the best and good luck!